This is one of the layouts from our new How-To book, Magic, although I chose to leave the interactive portion out of this one. 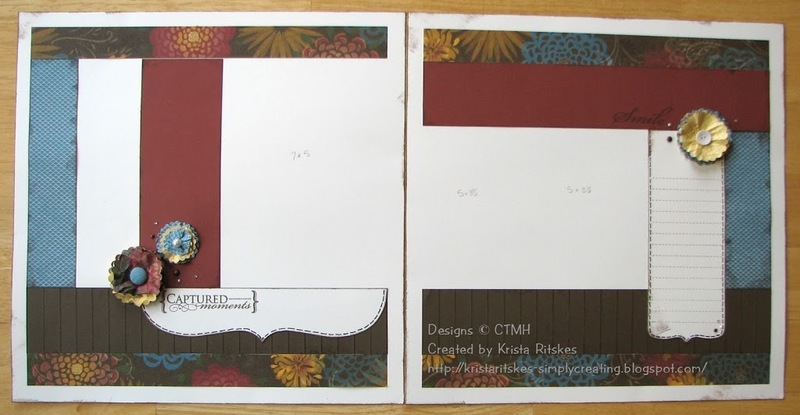 I am really trying hard to use up older paper, so we created this layout with Grace. I love the earthy tones in it. 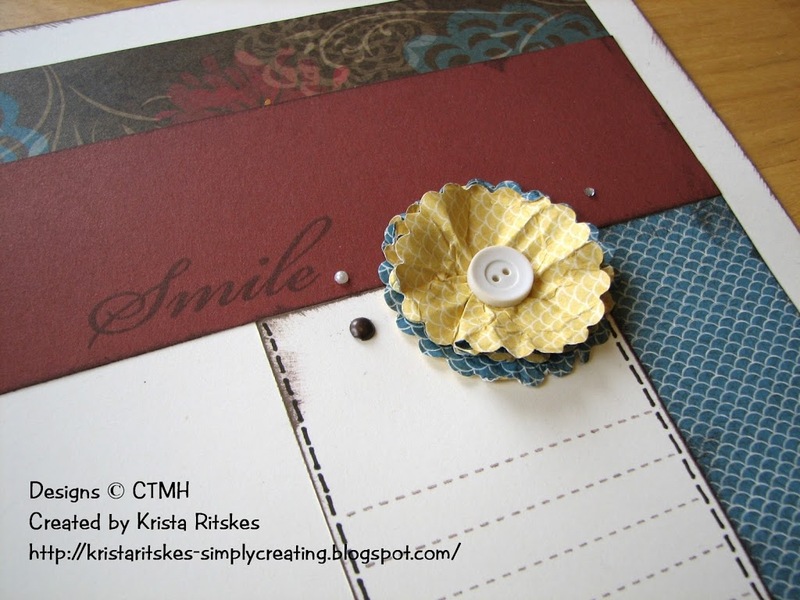 We also used Picture Perfect for the stamped titles and Comments for the journaling lines. 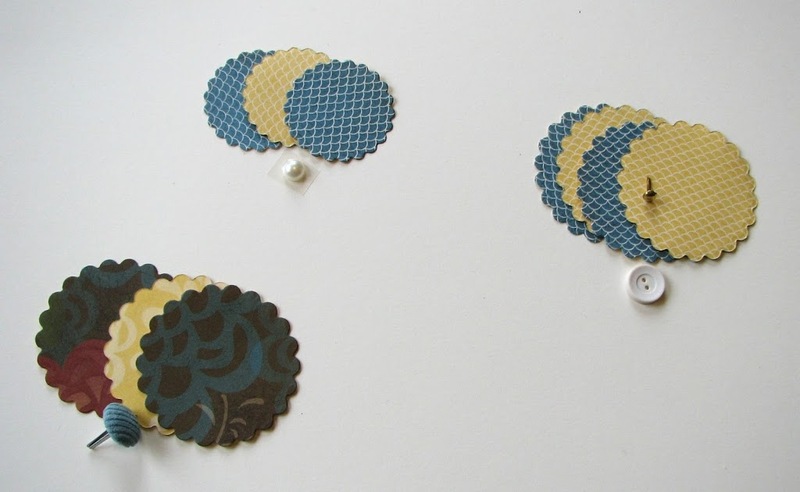 The following photos are close-ups of the embellishment clusters and you can see where we inked and scored the Cocoa cardstock at every 1/2 inch. You’ll also notice that we edged everything, except the darker patterned paper, with a Direct-to-Paper technique in Cocoa ink. Just brush your ink pad along the edges of the paper. You may notice that my paper flowers don’t look like the ones you’re used to seeing. 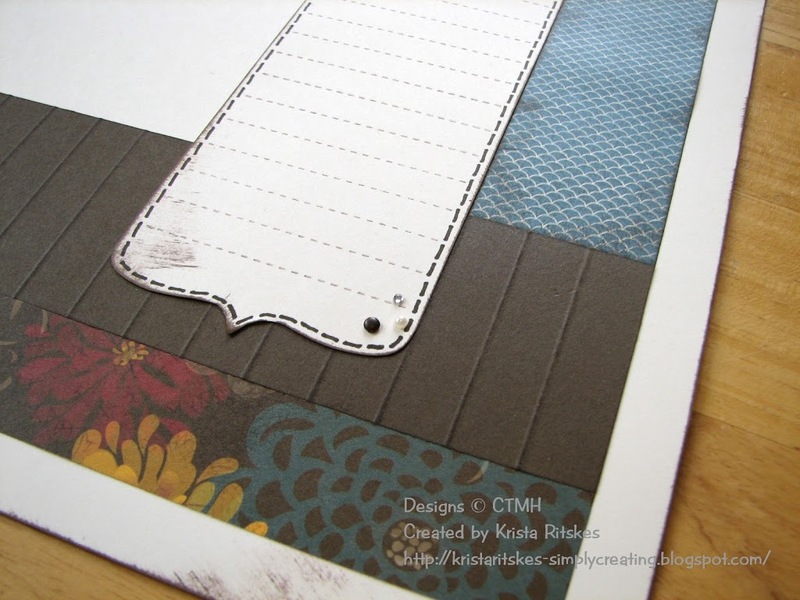 I chose to only use 3 or 4 layers (cut with my NEW Nestibilities!). I didn’t want them to be too bulky since these pages will be going into albums. For my club members who are using this post to help them create this layout, here is a photo of what each flower needs from your little embellishment package. I just realized that the little gold brad sitting on top of the larger blue/yellow scallops is supposed to go with the smaller set! Sorry about that. 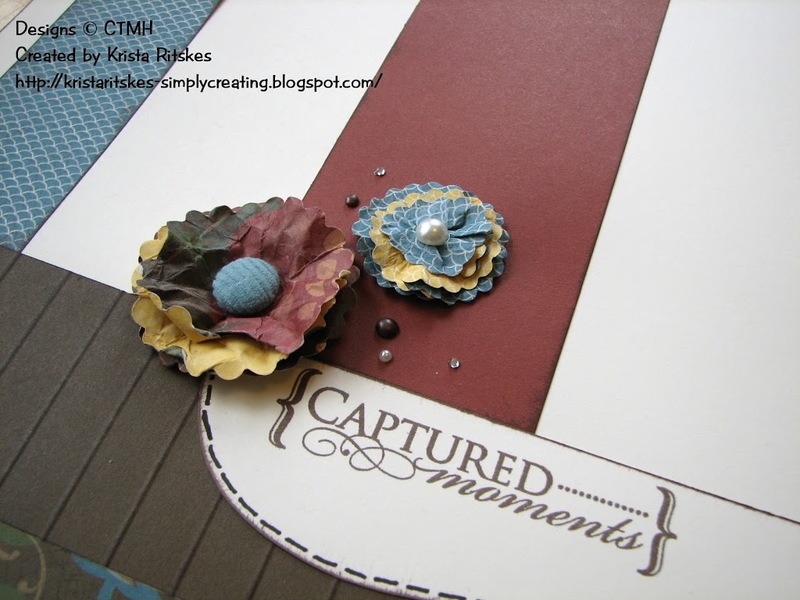 Here are a couple links to YouTube videos so you’ll know how to create the flowers. This one is for the larger blue/yellow one with the button on top. You can skip the cutting part, just jump to the section where she starts scrunching them all up. This one is for the other two flowers. Again, just skip to where they are scrunched. We sprayed them with a tiny bit of water to make them harder when they’re dry. As for the Bitty Sparkles, tiny Pearl Opaques, and brads I included in your package, it’s up to you where you’d like to put them. The photos above show you how I used them. Have fun and email or phone me if you have any questions.